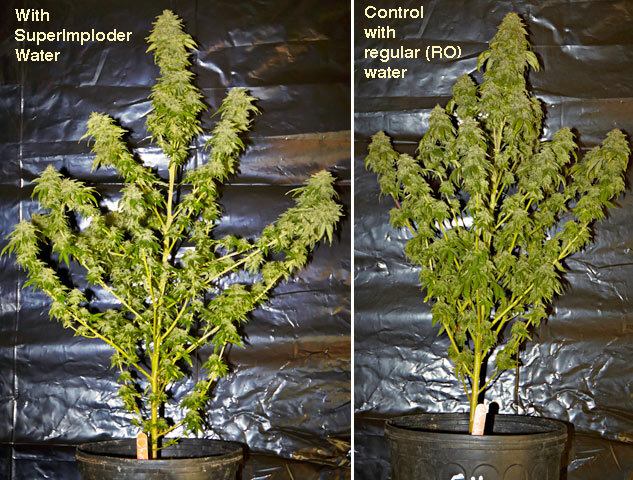 Multiple trials show 25-68% plant yield increase for SuperImploder water in Marijuana growing. has recently exploded ( imploded) on the Marijuana / Hemp growers scene. 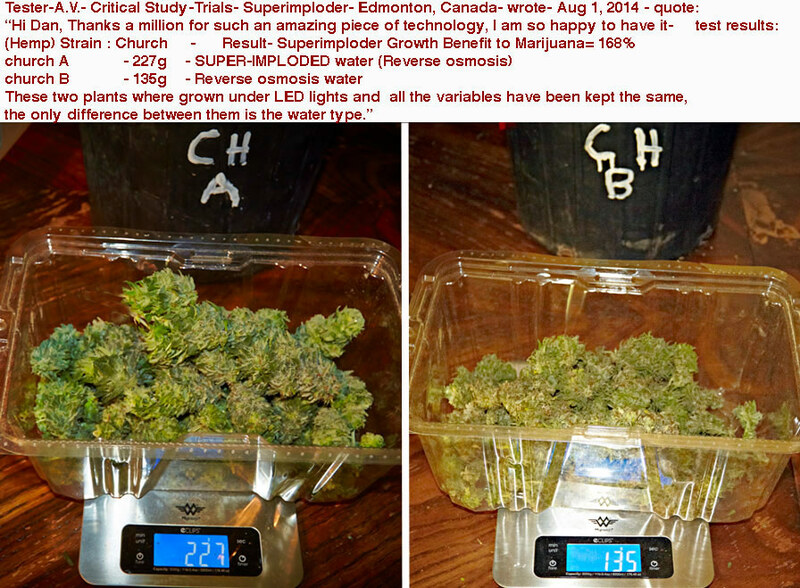 Our first trials- also in western Canada- a couple years ago- in addition to growth benefit- showed a substantially higher number of female seeds would develop- with SuperImploder Magnetic water. Then this year- our first serious trials- - first a large California grower of medical marijuana - showed a distinct 25-33 percent increase in plant yields with- Superimploder.